Exercise is Medicine on Campus calls upon universities and colleges to promote physical activity as a vital sign of health. Join us in making movement a part of the daily campus culture. 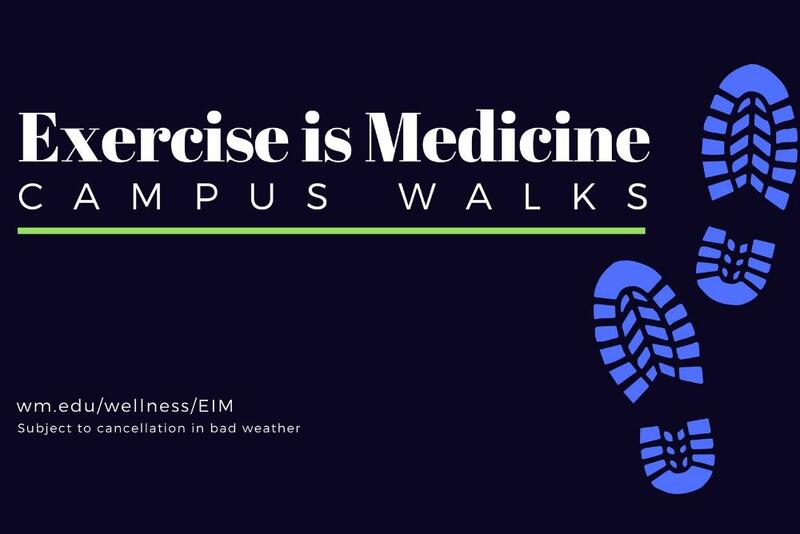 This week, Randy Chambers of the Biology Department leads our walk at noon. Meet at the Geology Rock Garden in the Crim Dell Meadow.